Our most ambitious and complex Origins Brewing beer to date, Baroque is an artful blend of aged saisons that delivers wave upon wave of delicate flavours. Layers of ornate, subtle flavours flow through each mouthful - sweet cherry pie, bitter orange, resinous oak and an effervescent, dry finish with a hit of rich, leathery Brett. Baroque is the most complex and artful Origins Brewing beer yet. In it's simplest terms, it is a blend of barrel-fermented Belgian-style saisons using Flanders and Wallonia cultures along with native microflora captured using a makeshift coolship in our original brewery, augmented with cultivated Brettanoymces. Each individual beer spent a minimum of nine months in French oak barrels, with further aging in bottle since packaging in May 2017. Think of Baroque as our artful tribute to the beautiful beers and brewing methods of Belgium. Blurring the lines between old world and new world IPAs, Expedition is at the same time a tribute to the origins of the style and an exploration of where it is today. 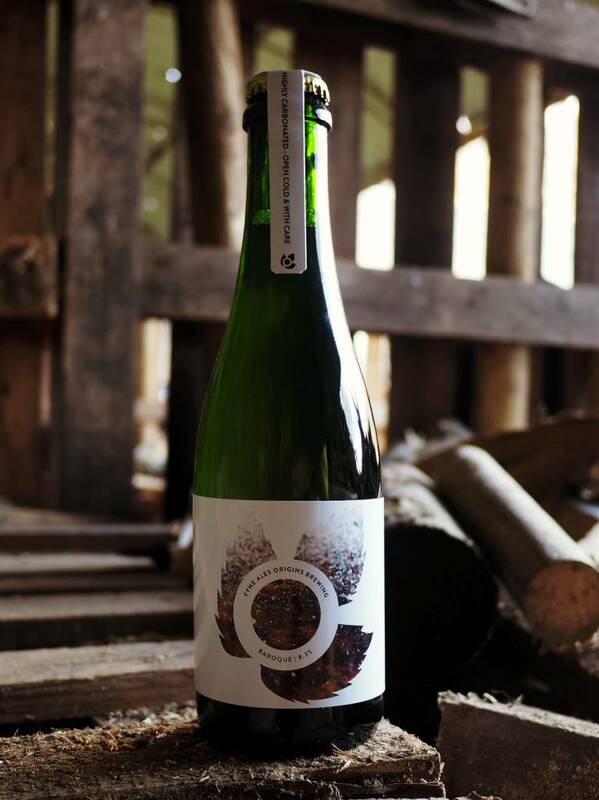 Brewed in collaboration with Edinburgh Food Studio, Forest Flore is a clean-fermented strong saison infused with buds and branches of foraged flowering currant plants, finished on juniper. A classic Belgian tripel enhanced by eight months in French oak and refermentation with apricots and Brettanomyces to enhance complex, fruit flavours.